The klassics never go out of style, and Pop Culture Shock Collectibles continue to bring to life some of the best looking legends in their Mortal Kombat Klassics statue line! NetherRealm Studios are back in the 'rasslin business! The developer released the free fighting app WWE Immortals earlier this month - just in time for the annual Royal Rumble! We think it's such a swell game, we're celebrating with our own take on the WWE classic - and we need you to make it work! We'll be asking "Who's Next?" when 30 Kombatants are drawn randomly at regular intervals to enter the first ever Mortal Kombat: Royal Rumble! 30 Kombatants will be drawn randomly to enter at regular intervals. The MK Royal Rumble will begin when #1 & #2 are announced. Each entrant will be announced via @MK_Online & the forum. Kombatants begin with 12 elimination points. Fans will vote to eliminate active characters by posting to the forum. An elimination occurs when the voting tally exceeds a characters points total. Fans can vote for an elimination once per entrance: Points will remain subtracted, but a new entrance will grant users the right to vote again for any character they decide. Eliminations will give points to randomly assigned eliminators. There must always be at least 1 kombatant active. 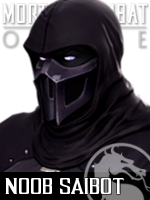 Kombatants remaining after the 30th entrant will be systematically eliminated based on their points and the total Retweet & Favorites received. In the tradition of the Royal Rumble - expect surprises! The 30 entrants will be drawn randomly from a total field of 85 characters! Prize winners will be notified within 48 hours. 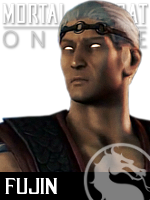 From the Palace Gates of Shang Tsung's Island, to the invaded streets of metropolitan Earthrealm: The more things have changed, the more they've stayed the same! The tournament called Mortal Kombat has raged for over 20 years -- and for the first time since that momentous anniversary -- the game is about to change! June 2nd will reveal the long awaited next instalment of Mortal Kombat! As the month of May winds to a close, we have been asked a simple question in promotional anticipation: Who's Next? We asked a very similar question this time last year! In 2013, it was Smoke who emerged from the months of debate and thousands of votes as a controversial victor! Like the warrior himself - the conclusion was enshrouded in a fog of doubt and uncertainty. With the new game mere days from launch - and new measures in place - nothing can be taken as fact! 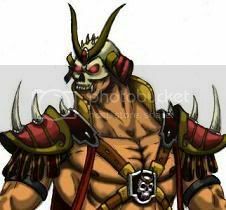 True champions must defend their title, and we must ask the question eternal: Who is the Supreme Mortal Kombat Champion? The ultimate fan voting tournament has become an annual tradition on Mortal Kombat Online - summoning the entire fanbase to agree on a single champion from sixty-four fighters! In 2014: the event will reflect the promotional cycle of a brand new game - introducing newly revealed elements as the tournament unfolds! Read on to learn more about what it all means and how you can join in! This time last year, Mortal Kombat Online put the call out to the entire fanbase. 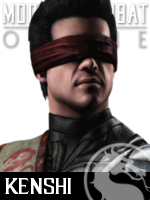 The purpose: to celebrate twenty years of Mortal Kombat by determining once and for all who could be called the true champion of the tournament! 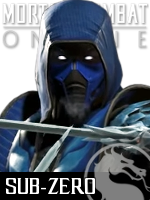 After months of debate and thousands of votes it was Sub-Zero who emerged victorious! The MKII ice warrior was a worthy winner, but as any champion knows, there comes a time when the title must be defended! With 2013 marking the twentieth anniversary of Sub-Zero and the sequel he debuted in, it's almost inevitable that we ask the question anew: Who is the Supreme Mortal Kombat Champion? From the top of the Pyramid of Argus, back to where it all began at the Palace Gates of Shang Tsung's Island: a lot has changed in twenty years of a tournament called Mortal Kombat! We gather sixty-four kombatants and put the call out to the entire fanbase! It is up to you to help us find the true champion! Read on for more details, including how you can win prizes! From the Palace Gates of Shang Tsung's Island, to the very top of the Pyramid of Argus: for twenty long years, characters from multiple realms have battled it out in a tournament called Mortal Kombat! Now, the kombatants face the greatest fight as we call upon the entire fanbase for the ultimate challenge! In the early days, you could take for granted that Liu Kang would be the hero of the hour, but as Mortal Kombat has developed in complexity, the question of who truly reigns supreme becomes increasingly open to circumstance. Many characters have risen through the ranks in arcade endings, offering dozens of possible outcomes in each game, but story modes and what ifs can never truly reflect the powers of the mightiest mortals in kombat history. With the series' twentieth anniversary mere months away, it is time for Mortal Kombat Online to vote for the very first time! We hope to gather the entire MK fanbase to answer a question that has garnered debate across three decades: Who is the Supreme Mortal Kombat Champion?